Project 1 Xpression Carbon. 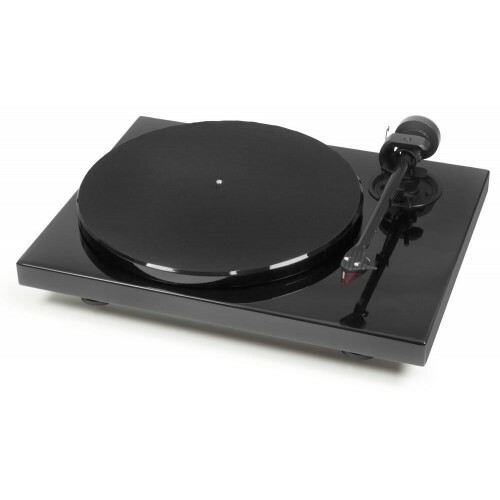 Manual turntable with 2M Red Cartridge. Sixth generation of a great classic analog audio and belonging to the seductive mid-range Pro-Ject, very competitive price, the 1 Xpression Carbon is a turntable that combines technology of proven reliability and efficiency with a clean and simple design, all This with a construction in which the presence of high quality components makes the difference with respect to its competitors. Firstly, the high mass plate made of a steel alloy and thermoplastic elastomers (TPE) is highlighted in order to control the resonances in the most effective way, which also contributes to the decoupling feet specially designed to minimize acoustic feedback ( Larsen effect). Another relevant feature of the 1 Xpression Carbon is the 8-inch 6-inch Pro-Ject arm that incorporates a unique product in a turntable in this category and stands out because it is made of carbon fiber with a geometry that allows immunization against All kinds of resonances. To finish, highlights the extreme precision of the drag motor (governed by a DC generator based on direct current), as well as the chromium steel construction of the rotation axis, which in turn rotates on a bronze bearing supported by A Teflon base. Manual turntable with exceptional value for money. Strap drive with high precision AC motor. Anti-resonant dish with steel sandwich structure and synthetic material. Counterweight designed to minimize possible vibrations. Turning speeds of 33 and 45 rpm. Pro-Ject 8.6cc Evo reading arm made of carbon fiber. Delivered as standard with (Ortofon 2M Red) or without a capocaptora. Dimensions with lid closed: 415x130x335 mm (W x H x D).